Taiwan Steelmaker CSC Cuts Domestic Nominal Prices for Sept.
CSC will apply lower nominal prices of its steels sold at home in September than those between July and August (photo courtesy of UDN.com). 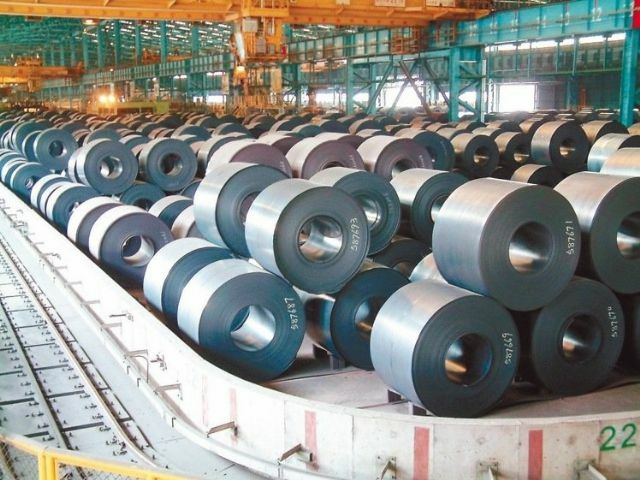 The Taiwan-based China Steel Corp. (CSC), the island's largest steelmaker by size, has decided to cut nominal prices of domestically sold steels for September, perhaps to cater to local downstream manufacturers who have called for price drops of such materials to remain competitive. CSC announced July 14 that it will cut nominal prices of domestically sold hot-rolled and cold-rolled steels and galvanized steel coils by 4 percent, an equivalent of NT$688 (US$21.5), per metric ton on average for September, compared to those applied between July and August. This is the first price cut the steelmaker has ever made since this March. Separately, a price of hot and cold-rolled steels is lowered by NT$900 (US$28.125) per tonne, while that of galvanized steel coils by NT$525 (US$16.4). Noteworthy is that a price of steel plates is unchanged, according to CSC. CSC stated it decides to lower nominal prices of the said steels applied for September mainly in a response to the following factors, including a low season in the European and U.S. markets and an ongoing price correction seen in the global steel market. But, institutional investors generally hold another viewpoint that the price cut is made to help local re-rolling mills, including Yieh Phui Enterprise Co., Ltd., Sheng Yu Steel Co., Ltd. and Prosperity Tieh Enterprise Co., Ltd., to better solicit export orders. In this logic, they opine CSC is likely to continue to reduce its hot-rolled steel price to be applied between October and November. Despite CSC's price cut for September, institutional investors point out that overall steel prices still remain on track of an upward trend in the long run, primarily because the global steel market has been increasingly stabilized over the past months since China began restructuring its steel industry to solve the oversupply problem.